Rents controls could be introduced in London’s private rented sector after a survey carried out for the Mayor found there is strong support for the move. London Mayor Sadiq Khan announced that he is to develop a new plan for stabilising or controlling rents and will be seeking the support of the Government as he has no powers to implement rent controls himself. The announcement came as a poll carried out by YouGov for City Hall found that over two thirds of Londoners surveyed are in favour of the Government capping the amount that landlords can charge people renting a home. Khan pointed out that between 2005 and 2016 average private rents in London rose by 38% and the average private rent for a one bedroom home in London is now more than the average for a three bedroom home in every other English region. He also pointed out that higher rents come at a time when far more Londoners are also now renting, with 27% renting privately in 2017 compared to only 15% in 2000. The Mayor has asked Labour MP Karen Buck to work with his Deputy Mayor for Housing James Murray to develop proposals for rent stabilisation or control laws that would help make private sector rents genuinely affordable to more Londoners, whilst at the same time protecting new supply and investment. Buck has significant legislative experience in developing laws to strengthen the rights of renters, and last year succeeded in progressing the Homes (Fitness for Human Habitation) Bill from a private members bill into law as Government backed legislation. Rent control and stabilisation can take many forms, but most major cities in Europe and North America have some limits on rents in the private sector. For instance, in Berlin, rents are controlled both within and between tenancies. In some New York City apartments, rents are capped by the NYC Rent Guidelines Board, and others have their rent stabilised or reset between tenancies. Scotland recently introduced new laws that allow councils to apply to introduce rent pressure zones where rent increases are capped at no higher than inflation. Khan also wants to see tenancies reformed by ending Section 21 no fault evictions, in which the tenant is evicted without reason, and introducing a right for renters to open ended tenancies, whilst taking steps to ensure landlords can regain possession when they have a legitimate reason. Once these proposals around rent stabilisation and control are complete, if it is the case that Mayor doesn’t have the requisite powers, he will campaign and lobby for them and also for his proposed changes to tenancy laws to be implemented by the national Government. ‘London is in the middle of a desperate housing crisis that has been generations in the making. At City Hall we are doing everything in our power to tackle it, including building record numbers of new social homes, but I have long been frustrated by my lack of powers to help private renters. Our Rogue Landlord Checker, which has now been checked more than 76,000 times, is making a real difference but the truth is that the laws for private renters are simply not fit for purpose, said Khan. ‘The arguments for rent control are overwhelming, and Londoners overwhelmingly want it to happen. I am delighted Karen Buck MP has agreed to work with my Deputy Mayor for Housing on proposals for new laws that would help make private rents more affordable. It’s vital that the Government acts to improve the quality of millions of lives, now and in the future,’ he added. Buck, Labour MP for Westminster North, believes that London’s private renters are amongst the worst affected by the housing crisis in the capital, and the laws to protect them are woefully out of date. ‘We need an approach to rent stabilisation and control that works in London, and I am very pleased to be working with Sadiq’s team to develop a blueprint for what Government should do. Once we have set out these proposals, we will argue the case that Ministers must support London’s private renters by putting our plans into action,’ she said. However, the lettings sector is unlikely to welcome the plans as they also have a down side, according to John Goodall, chief executive officer of buy to let specialist Landbay. ‘Rent controls are likely to lead to a reduced investment into the rental sector and thus a further shortage of high quality rental accommodation,’ he said. 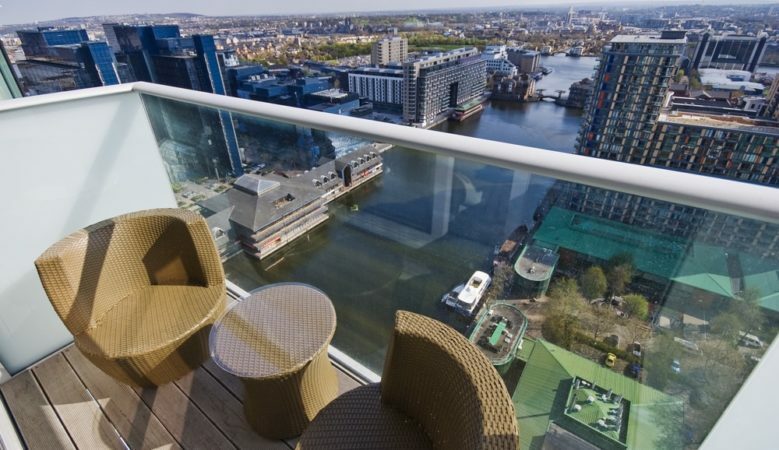 ‘That will not lead to a positive outcome for London’s renters as they will find it harder to find decent properties. The Mayor should be looking to find ways to encourage investment rather than political grandstanding that will end up harming those that he claims that he is trying to help,’ he added.